Today’s gratitude post may seem a little silly. But when I woke up this first very cold day of the season, I couldn’t help but feel grateful for the luxury of my bed. I had a few moments of wonderful meditation as I noted the comfy down pillow covered in whisper soft fabric that cooled my cheek, the cuddly quilt that was keeping my body toasty warm as I listened to the cold wind whip around outside, and the splendor of having a mattress that is “just right”. Oh, the return home from a trip makes your own bed all the sweeter. Oh my goodness, not silly at all! I loved this post, Bernadette!!! I never take my bed for granted…lovely thought here, B.
Hi Bernadette – This isn’t silly at all. 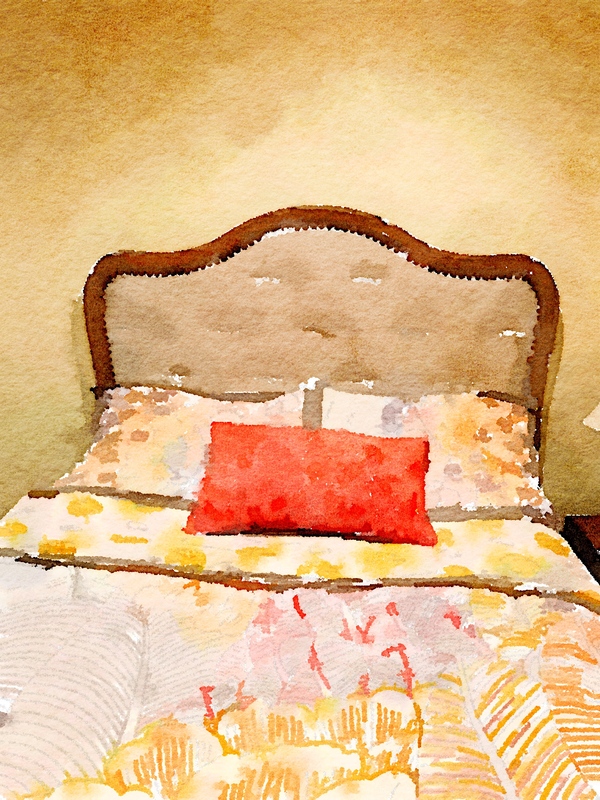 Occasionally, when I enjoy languishing in the bed feeling nothing but comfort and peace, I occurs to me that there are too many mornings in which I’m jumping out of bed and into the day so fast that I miss the transition from sleep to wakefulness. It IS something to be grateful about – thanks for the reminder! Delightful, Bernadette! 🙂 Filled with gratitude as I sit here by the wood stove all comfy and warm while cold and daunting winds whip through the trees outside. Grateful that our power is still on, and thinking warming thoughts for many in our state have lost theirs today. I can relate to this, Bernadette. There is nothing comfier than one’s own bed. Believe me, it’s not silly in the least ‘cos I can relate. There are days that I’m simply in love with my bed and nothing in the World could substitute it. So much to say ‘Thanks’ for.